Electronic Arts, publishers of The Sims 4 are keeping things under the wraps because they just don’t want to make any official announcements yet. If players get to know that these are the things that are coming to the Xbox One and PS4 version of the Sims 4, they will start demanding it. Instead of making players wait for a release date, the publisher and developer has refrained from making any prior promises. The Sims 4 launching on the Xbox One and PS4 consoles is a huge deal because the PC exclusive game is coming to consoles after a long break. The controls are being tweaked so as to make it easy to control your characters using a controller. The first hands on experience for the game on these consoles was provided at the Gamescom gaming expo. It is scheduled to get launched by the end of this year. However, there is no word on the expansion packs, DLC packs and stuff packs EA plans to launch. Amidst such a situation, a surprising retail listing confirmed that the Cats & Dogsstuff pack is coming to the new platforms. Within hours since the posting, the listing was removed and we presume it is because Electronic Arts don’t want to keep anything up for pre-order so early. For developer Maxis, the architecture used in the Xbox One and PS4 consoles is very different. They may have to take time to understand it and make content run smoothly so that a PC-like experience is provided irrespective of the gamer’s platform of choice. 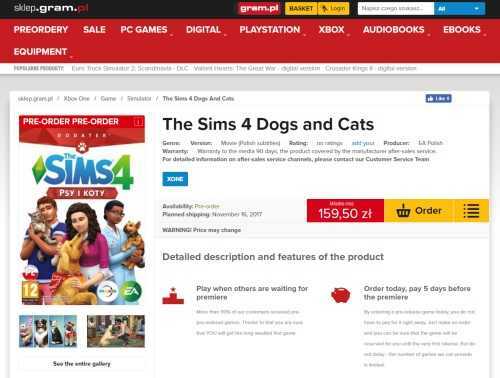 Based on the announcements made so far, The Sims 4 console editions will receive the toddler stuff pack, perfect patio and based on this leaked listing, it is unofficially confirmed that Cats & Dogsstuff pack is heading to the consoles sooner or later. The pricing and other content found in the pack will relatively be the same as the PC version without any modification. Electronic Arts has done a great job by porting the game to Xbox One, PS4 consoles. It might run even better on the powerful PS4 Pro and the upcoming Xbox One X console. But, considering the graphics found in a Sims game, it may not drastically vary and the gameplay experience will be consistent across all of these without any drastic changes. 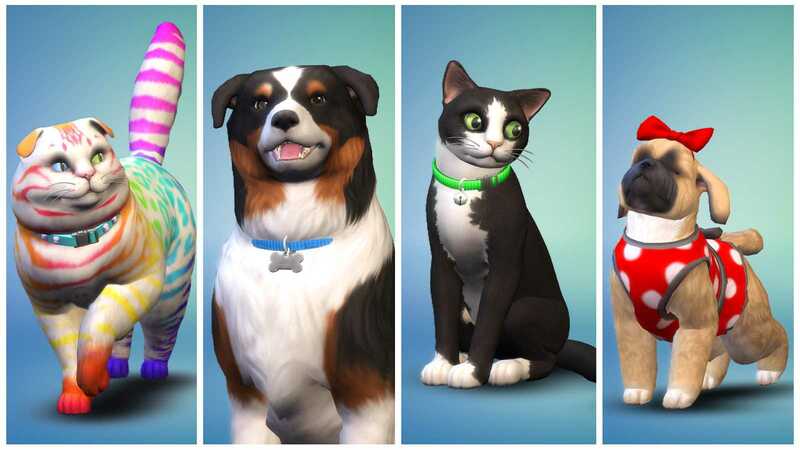 The Sims 4 launches on November 16th which is the same date on which Cats & Dogs DLC is headed to PCs.